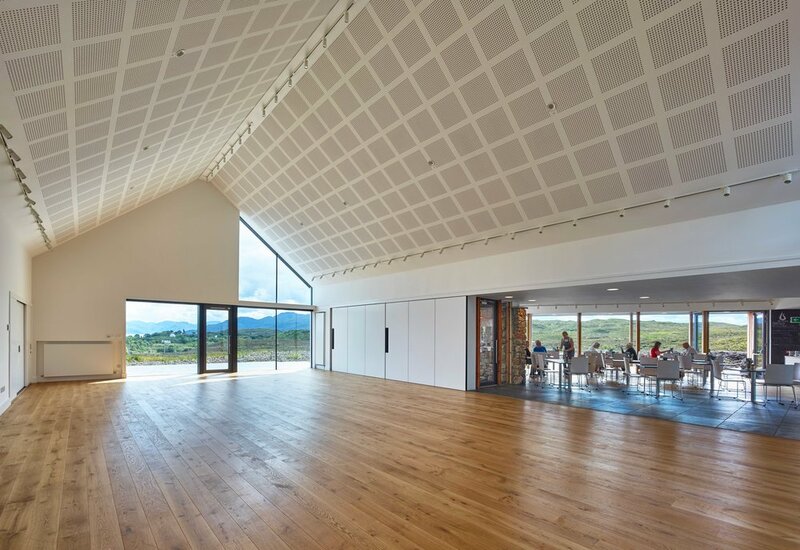 The completed building achieves and surpasses all the community's stated aims for a welcoming, inclusive and environmentally responsible building that can serve current generations and adapt for future ones. 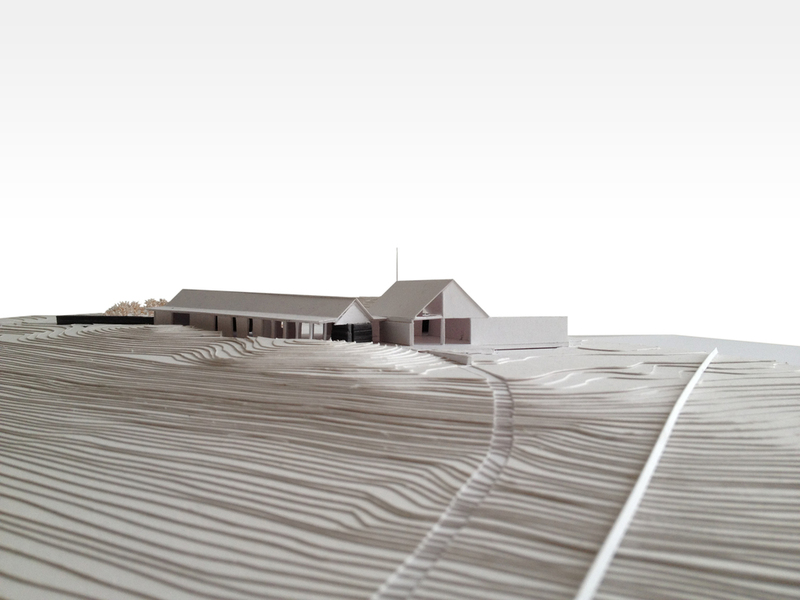 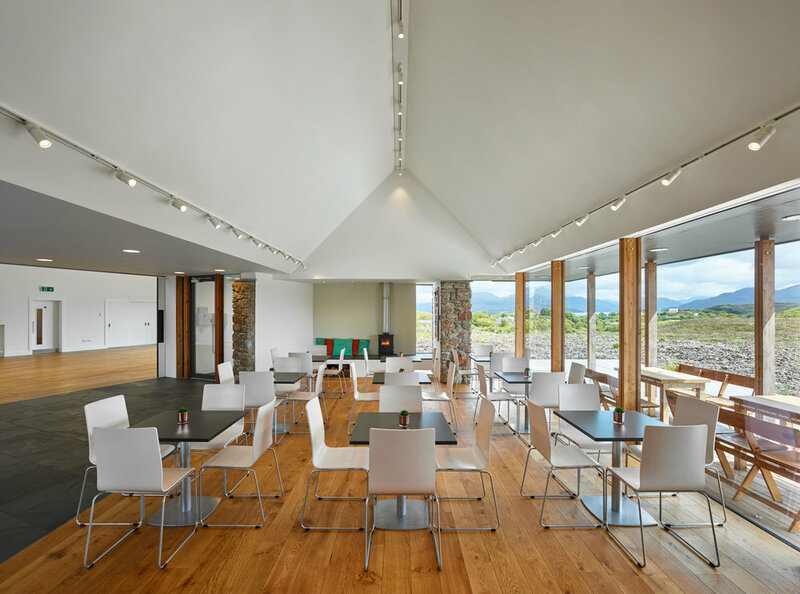 The core brief was focused around a need for a flexible gathering hall, a well-stocked shop, and a cafe in which to meet and socialise; all of which are now provided. 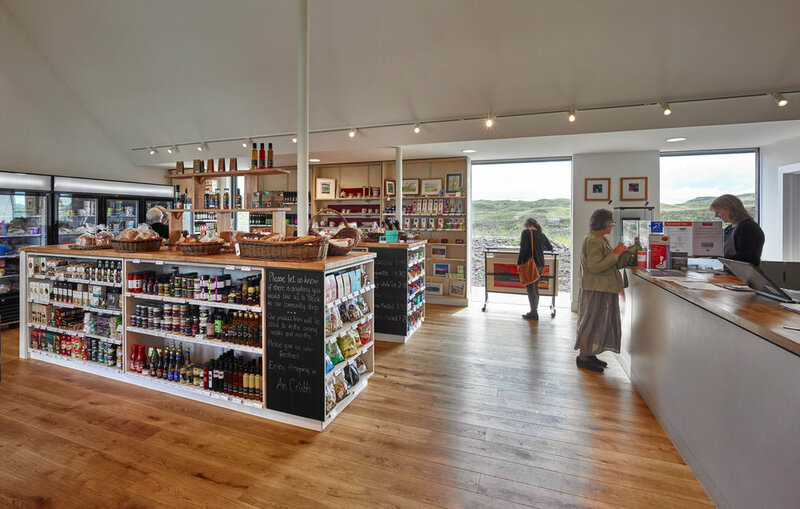 The future of the vital local Post Office was also secured and is now accommodated within the shop. 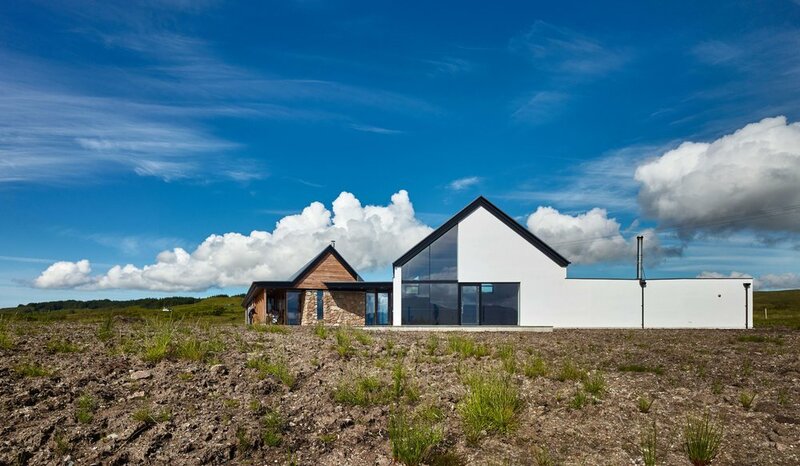 Situated on an previously unremarkable area of grazing land, the building enjoys stunning views across the Sound of Sleat to the hills and sea lochs of the Scottish Mainland. 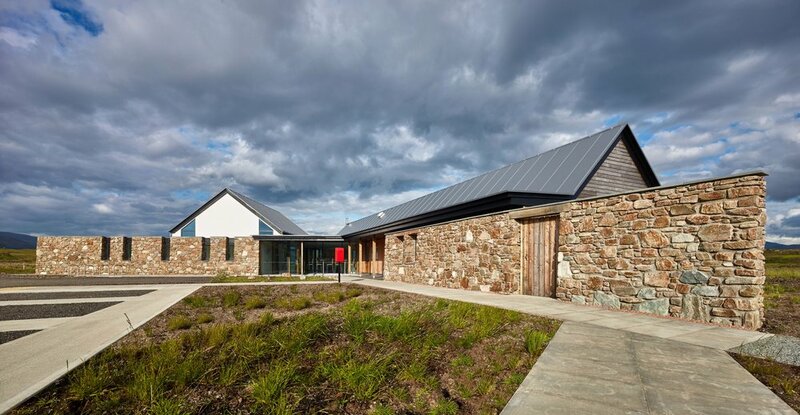 WT Architecture are very proud to have led this Lottery-funded project from its inception, starting with comprehensive community brief and design development exercises, and working right through all approval and funding stages, to construction and completion.